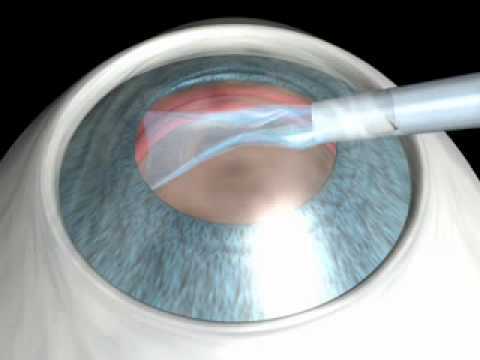 Corneal topography carries out a systematic analysis of the cornea to provide us with a detailed picture of its shape. Modern topography includes systems for projection (Placid discs) and elevation to provide a more complete analysis of the cornea's anterior and posterior surface. One of the most important applications of corneal topography at present is in the early detection of corneal ectasia and follow-up. An analysis of all the data provided helps us reach a reliable diagnosis, monitor the situation and decide on the most effective therapeutic strategy depending on the size and type of astigmatism (regular or irregular). 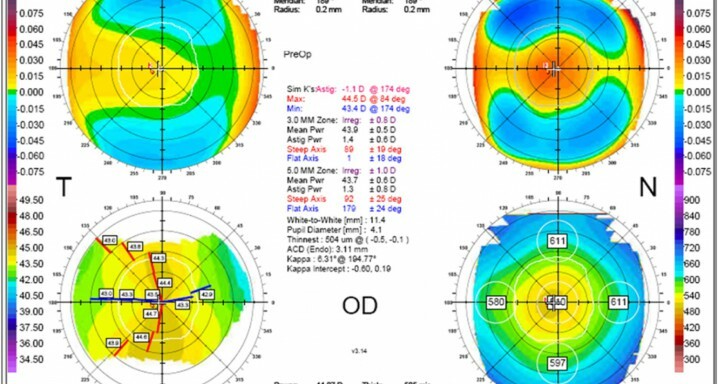 However, corneal topography is also useful and fundamental before carrying out corneal refractive surgery, cataract refractive surgery to calculate the power of the lens to be implanted, in keratoplasty and in corneal alterations, among others. None of these values alone plays a decisive role in diagnosing a pathology and it's important to assess all the parameters offered and their clinical correlation. No special procedure is required to prepare the patient for this examination. All that's required is for the surface of the eye to be well hydrated. Patients using contact lenses must stop using them for 10-15 days prior to the examination so as not to distort the results.